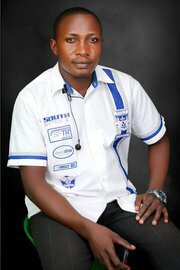 Ssenteza Richard is the founder of SENTRICH FOUNDATION-UGANDA and He is a Married Man with beautiful kids. He is also the Director of SENTRICH FOUNDATION-UGANDA, an organization which is dedicated to change and transform so many lives – of the youth , young people and our communities. Richard’s dreams and desires are to see that every disabled child, neglected child gets a bright future.